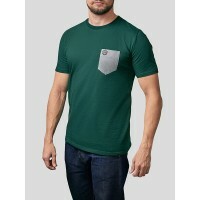 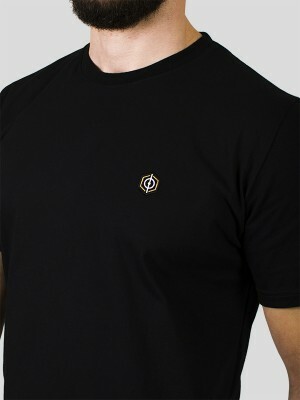 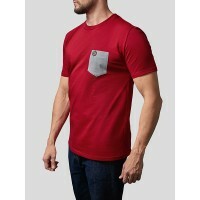 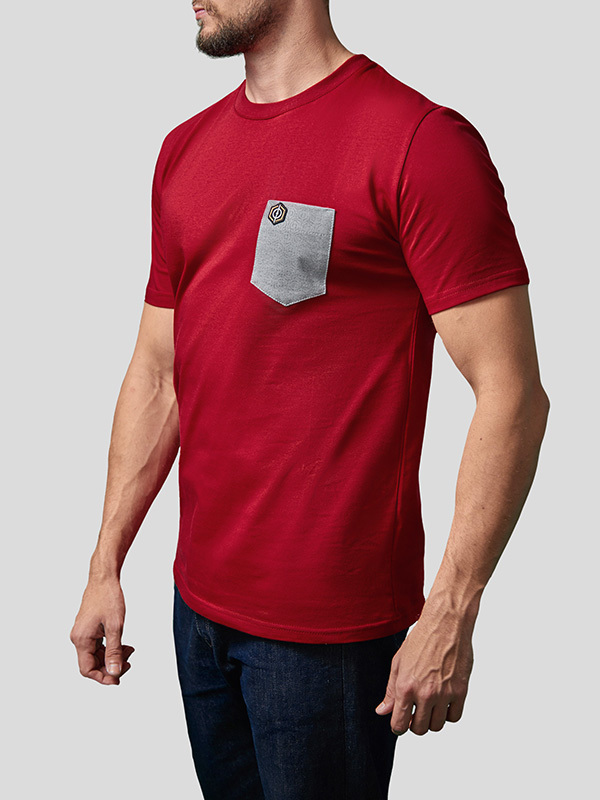 T-shirt with a fitted cut with a contrasting pocket. 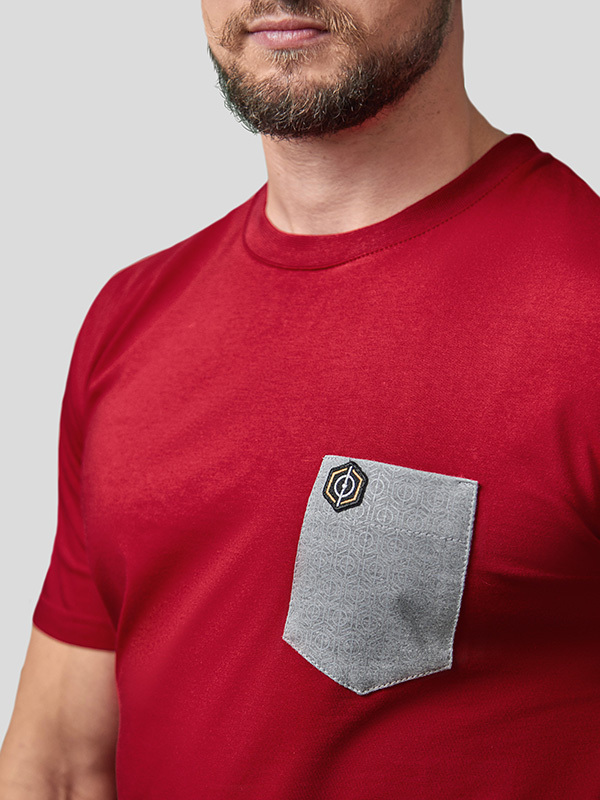 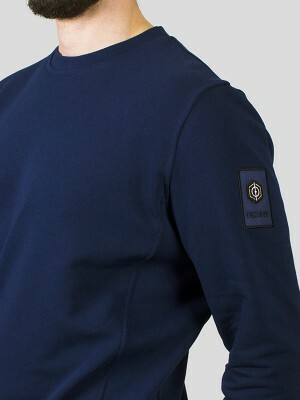 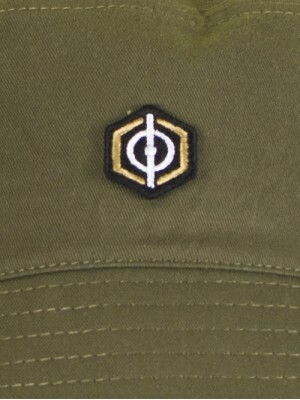 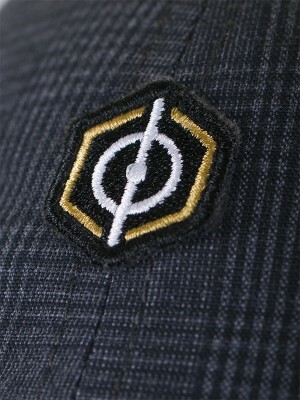 Contrasting pocket on the chest. 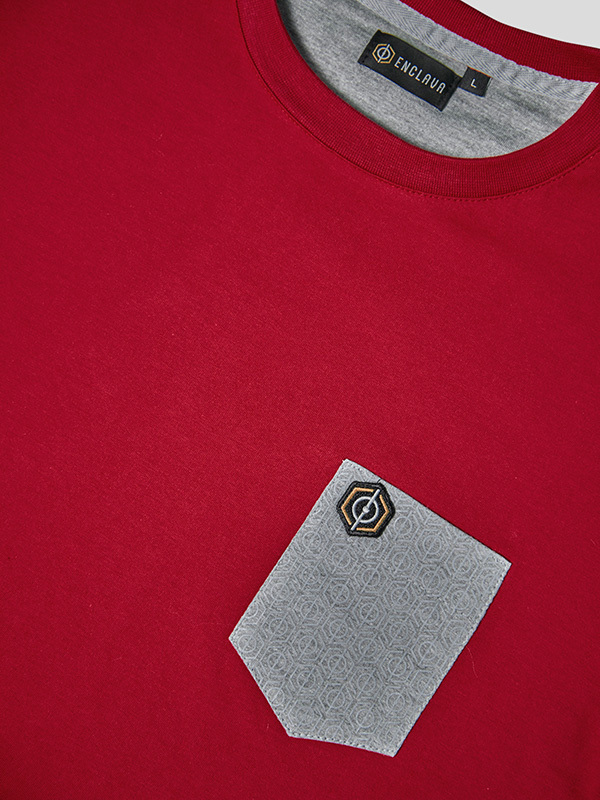 Monochrome printed pattern on the pocket.